Join Mary Kate McCartney for yoga at the Hotel Leger. MK teaches an all-levels Vinyasa flow class that cultivates strength, flexibility, balance & self-love through the use of asana, pranayama & meditation. What to Bring: A mat and any props you use. Teacher: Mary Kate (RYT 200 Vinyasa Yoga & RYT 200 Kundalini Yoga) MK had the great fortune of meeting her teacher Gurudass Kaur while living in Barcelona in 2001 & began teaching in 2007. 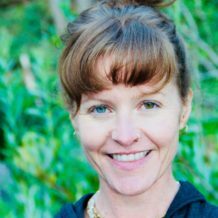 She has since taught in Sacramento, the Foothills & West Africa, and currently resides and teaches in West Sonoma County. She enjoys sharing the science of yoga, which supports conscious, healthy & creative living.